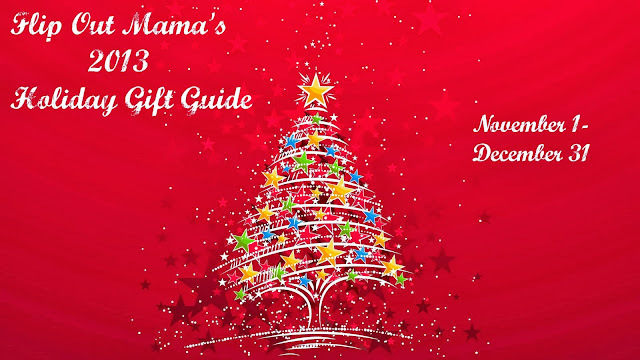 It's hard to believe it's already time, but Flip Out Mama's annual Holiday Gift Guide will be kicking off in less than one month! Our holiday gift guide is a great opportunity to get your product or company featured and promoted to thousands of moms who are looking for the perfect gifts! We anticipate between10,000 and 20,000 unique monthly visitors throughout the holiday season as everyone gears up to find the perfect present! Don't miss out on having your product featured! If you have any questions, please email Dawn at theflipoutmama@gmail.com! We have several options available for Holiday Gift Guide Inclusion! If you are interested in an option that is not listed here, feel free to ask, we are happy to accommodate special requests! PLEASE NOTE: Products will be featured in the gift guide in the order in which they are received, so make sure to get your requests in before it's too late! Don't forget, contact Dawn at theflipoutmama@gmail.com to get your products featured!